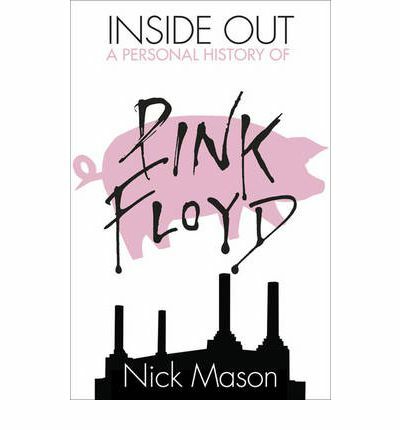 In October 2004, Nick Mason's "Inside Out - A Personal History Of Pink Floyd" was published. The book was a big hit with fans and critics alike for the candid and in places, incredibly amusing text looking at the rise of the band. Whilst lacking some of the detail and coverage of other books on Pink Floyd, it nevertheless formed an essential addition to the bookshelves. The original paperback, released in October 2005, brought matters up to date with Nick's personal view of the band's reunion with Roger Waters for Live8, which included some new pictures, too. An entertaining audiobook, read by Nick, was published at the same time. The first, most obvious change is the revised cover, which now has a white background and the iconic Floydy pig gets far more prominence. It's inside that the significant amendments are found. The first of the changes is an early picture of Sigma 6, which (thanks to us at Brain Damage, who put band member Vernon Thompson in touch with Nick) now has a corrected and complete caption. There's also been some revision of the text in the fourth chapter, which looks at 1969, particularly where Nick talks about Syd, his solo material, and his contribution to Pink Floyd. More changes can be found when the narrative gets to 1994. A paragraph has been excised, talking of how the band's low profile had paid dividends in allowing the band to travel around, relatively untroubled by press and paparazzi. A curious bit to be removed. The biggest revision is in the "Postscript" section. With the previous edition having been written and published before the very sad passing of Richard Wright and Syd Barrett, as well as Bryan Morrison and Mick Kluczynski Nick heavily revises the text at the end of the book. He pays tribute to Syd in part through his obituary of Syd that was published in Time Magazine, noting how important Syd was for the rise of Pink Floyd. The loss of Rick clearly hit Nick hard, and he notes how Rick never received proper credit for his talents and contribution to the band. He also talks of the memorial service held at the Notting Hill Theatre, which it seems was more of a celebration of Rick's life, with Nick relating how Jeff Beck performed a "beautiful, unaccompanied guitar solo", and David and Nick performed 'Remember A Day' for the first time in nearly forty years. The original hardback edition was essential enough for Floyd fans, and the revised paperback in 2005, including the Live 8 reunion, made 'Inside Out' even more indispensable. If you haven't got the paperback, or indeed either edition, this really is the perfect time to fill the hole in your collection. The book should be available to order very shortly through all good retailers, including Amazon.com, Amazon UK, Canada, France, Italy, or Germany; Play.com, and HMV.